It's been over two weeks since the launch of FINOS at the Nasdaq MarketSite on April 24th. The feedback from the community has been overwhelmingly positive and we've received great press coverage from a wide variety of outlets and influencers. We also announced today a new chair and vice-chair of our Board of Directors. Brad Levy of IHS Markit has taken the role of chair. Alejandra Villagra of Citi is assuming the vice chair position. We are excited to have such esteemed industry representation from these two top executives. At our launch Brad Levy, IHS Markit, talked about how technology is becoming the new front office and how the financial services firms are now looking at community based problem solving, for which FINOS is well positioned. Alejandra, our new Vice Chair for FINOS, brings a wealth of knowledge to the board. During a panel discussion at our launch event, Alejandra spoke about the importance of a trusted and secure forum that can bring the industry together, and how that is an essential part of the open source equation. 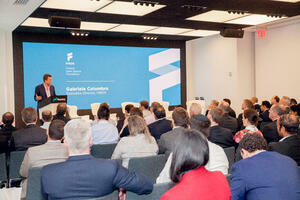 Gavin Leo-Rhynie sat down with us in NYC at our recent panel "Accelerating Open Innovation within Financial Services". Gavin, who is a partner and co-head of the Platform Business Unit in the Technology Division at Goldman Sachs has a front row seat to many of the most interesting initiatives in the industry. He shared his thoughts on the technology and cultural benefits of open source collaboration. Peter Spera, Managing Director for J.P. Morgan, Head of Sales Product Management & Client Intelligence, joined our forum, discussing how fintech and its member companies are finally finding ways to open up, and show what’s under the hood. They are really figuring out where to compete, and where to collaborate. Chris Wright, CTO of Redhat share his unique views on financial services from his perspective as technology and open source pioneer. He explains how creating a shared vision, building trust and working together to solve common problems is critical to open source development. Are banks so different from other regulated industries embracing open source at scale? We were glad to have Mark Etherington join us at our recent panel "Accelerating Open Innovation within Financial Services". Mark had some cutting remarks about technology adoption and after 20+ years in the industry now sees collaboration on desktops and interoperability...is it too good to be true? 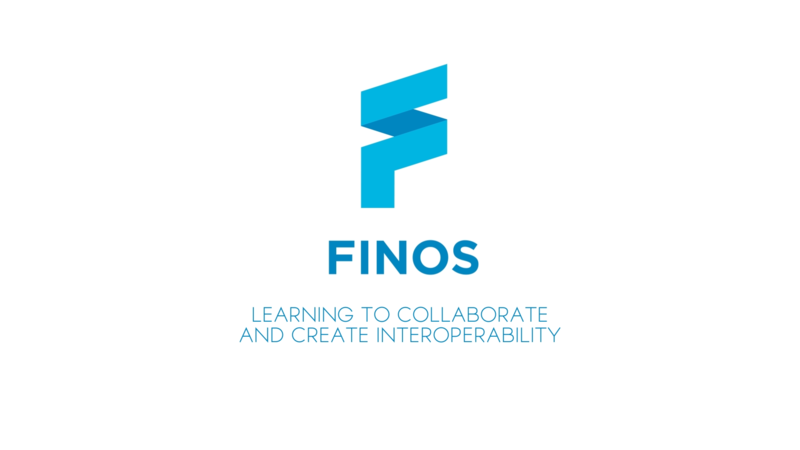 "The industry is slowly saying goodbye to its old you-can’t-touch-this approach, which is evident in the participation of so many big-name banks in a new forum for collaboration on open-source projects called FINOS, or the Fintech Open Source Foundation." "FINOS provides members and outside collaborators access to open-source code and associated programs from which they can create dedicated software designed to solve these ongoing concerns and define best-practices for cutting edge financial software." "After the Fintech Open Source Foundation completed its recent rebranding and charter expansion, the industry organization has come out swinging for the bleachers." "The technology industry, especially Silicon Valley, was the first to use the internet for open-source technology... For the financial services industry, the Symphony Software Foundation, newly renamed the Fintech Open Source Foundation, serves that purpose..."
"The Symphony Software Foundation is now the Fintech Open Source Foundation (FINOS), a development in response to an industry demand for an organization to support financial services via a wider variety of more collaborative, open source efforts." "FINOS is about supporting open source software efforts across the financial services industry. Financial services has often lagged other industries in adopting open source software related development practices, but that situation is changing quickly."